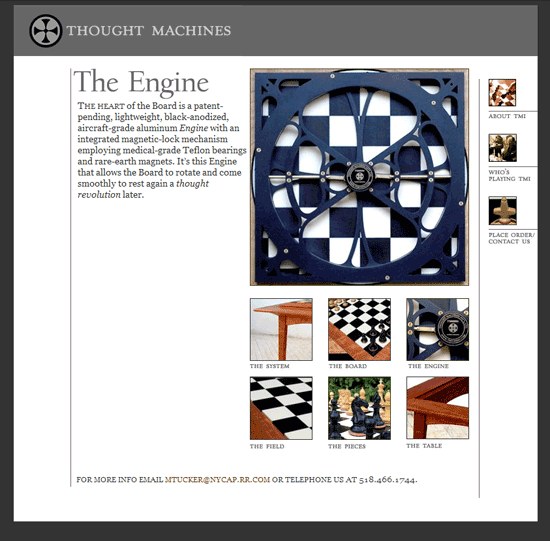 [designer’s comment] This website design showcases the high-end chess set company Thought Machines International (TMI), whose unique rotating board was hailed as “the future of chess” by no less than Grandmaster Gary Kasparov. 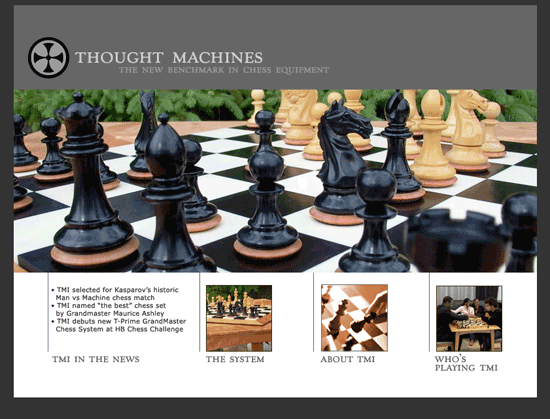 The site includes a number of pages that show the operating parts of the chessboard, as well as pages about the company. 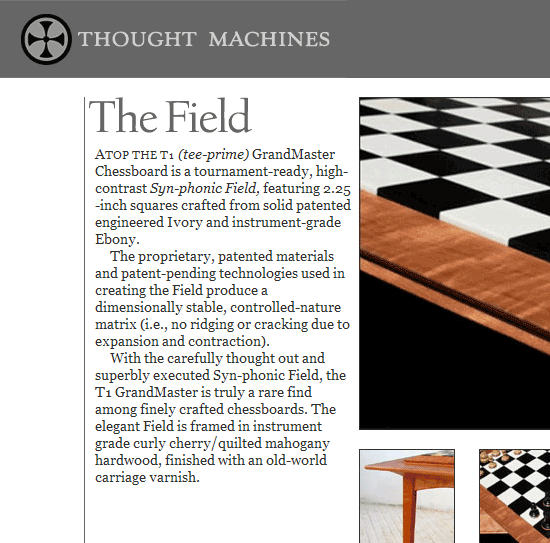 Because the product line was limited, simple ordering functionality is included through email links. Content/logo design: NYDL edited copy and developed a new logo design (based on the board’s rotating “Engine” for the newly formed TMI. Typography: The primary font used is Village, with Roman Display as the headline and Small Caps in the logo; Georgia is the web text companion.